For my boys, chips are always a go to essential at parties, snack time, and even sporting events. I wanted to be able to make the bags still look cute no matter where or what we were celebrating. 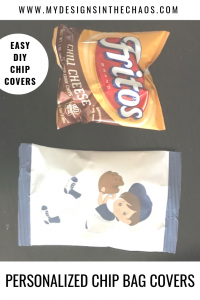 Today I have a super simple potato chip bag cover tutorial for y’all. Also as a side note, I ended up using these for my son’s baseball team snack so I provided the free printable below for you to use as well. Just scroll down to the bottom to download it. If you are more of a video person scroll down and check out the live we did on Facebook demonstrating exactly how easy these are. These potato chip bag covers are definitely going to be my go to party decor from now on. PLEASE NOTE THAT THIS POST CONTAINS AFFILIATE LINKS. THIS MEANS WHEN YOU SHOP THROUGH OUR LINKS, AT NO EXTRA COST TO YOU WE EARN A SMALL PERCENTAGE OF THE SALE. Check out more of our favorite crafting supplies and tools here. 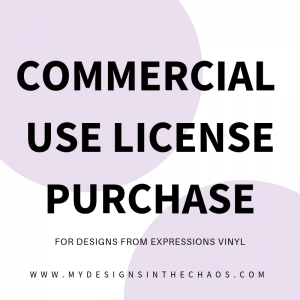 Step One- Download the printable document below to your computer. Make sure to unzip the file (right click and select extract all) in order for it to open. Then open it up and print exactly as pre-sized. Each bag cover will take up one page. So if you have 15 bags you want to cover just print the printable 15 times. Super easy. I personally used just normal printer paper and was 100% pleased with the more matte finish. (my pocket book also thanked me) But as another option, you could also do glossy photo paper if you wanted to give it more of the ‘real’ chip bag look. Step Two- Once you have a design printed on each page it is now time to package. Apply adhesive to the top and the side of the printable. You will want to apply it to the back side of the printable edge that has the blue line. This one will be on top when you wrap it up giving a seamless look to the closure. Then seal the tops and bottoms together as well. Step Three- Now, using either plain scissors or decorative scissors cut the top and bottom white space off of the bag. Make sure that it is still sealed and that you haven’t accidentally cut off the part that had the adhesive too. Step Four- Crimping time. Place the top of the bag into your crimper. Pull the handle of the crimper closed and then turn the wheel so the gears move. Turn it back a forth a few times to get a nice sealed looking edge. Do this for the top and the bottom of the bag. Ta-Da! 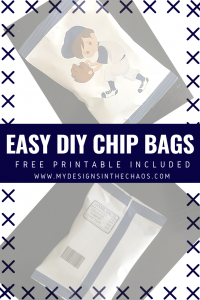 Beautiful personalized chip bags that will give your decorations an extra umph!! We always love to see what you are making and creating with our tutorials! Head over to our FB group and post a photo of your personalized chip bags today! Make sure to also head over and check out some of our favorite SVG designs too. If you like this printable you will love the baseball files!